Some marketing strategies are brilliant for one brand, yet absolute fails for another. Marketing strategies should be built with the target audience in mind. The marketing strategy that is brilliant for a spa (a local consumer audience) isn’t going to work too well for an enterprise level Customer Relationship Management software (a national/international corporate audience). 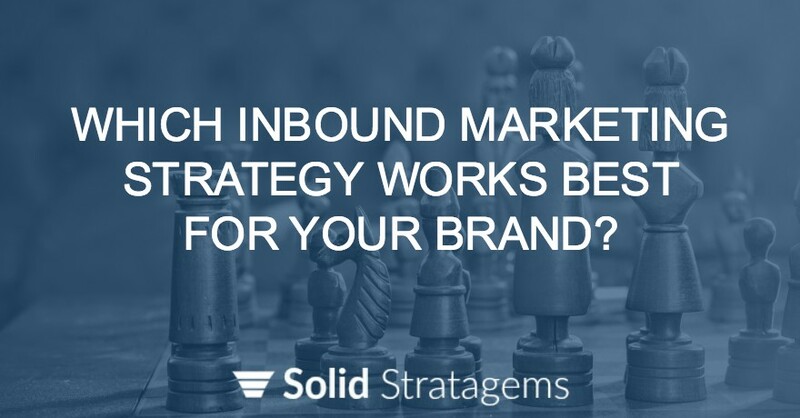 There are four steps to choosing the marketing strategy that’s best for your brand. Quadrant 1 Businesses can be broken into two subcategories – Service Area Businesses and Brick and Mortar Businesses. 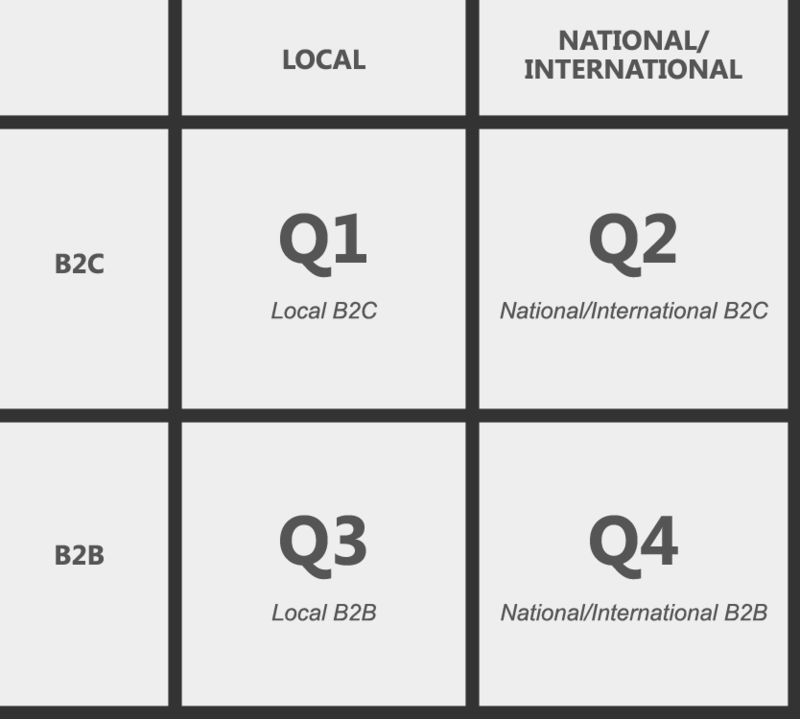 Quadrant 3 businesses are business/commercial services (but sometimes products) that usually require the brand to have a local presence (a lot of times due to licensing and legal regulations). Like quadrant 1 brands, quadrant 3 brands include both Service Area Businesses and Brick & Mortar Businesses. Now that you know your quadrant, time to further define your audience. The pricing of the product/service that you will be marketing. The Lifetime value (in revenue) of your target consumer/corporation/client. The profit margin of said revenue. Total lifetime profit of a purchaser. With the first three numbers, you’ll be able to project the fourth, the total lifetime profits of acquiring a customer/client. Sometimes this is a less than a hundred dollars. Other times this can be tens of thousands or more. You’ve got to know your number. There is one final number: The cost of acquiring a new customer/client. If your total lifetime profit is $100, you’ve got to be able to acquire new customers for less than $100. IF YOU CAN’T DO THIS, you either have underpriced your product/service or you’re marketing strategy isn’t up to par. IF YOU CAN, especially if you can generate $3.00 or more per $1.00 you spend; you’ve got something, and should focus on building an operations process that can scale. In the stock market – people take on quite a bit of risk hoping to turn $1.00 into $1.10 – so if you can turn $1.00 into much more than $1.10 (annually) – you know where you should invest. Now that you’ve defined your target audience and know how much you can spend per client acquisition – get started on the marketing strategy that works best for your brand!